It’s so easy to enjoy a variety of fresh veggies in summer but what do we do about this in other seasons? I don’t know about you, but we do our best to incorporate whatever veggie we can find in all sorts of delicious, comforting recipes like this baked tortellini recipe! Even if most of those vegetables are frozen! Just because it’s cold outside it doesn’t mean we have to stuff our faces with unhealthy food. 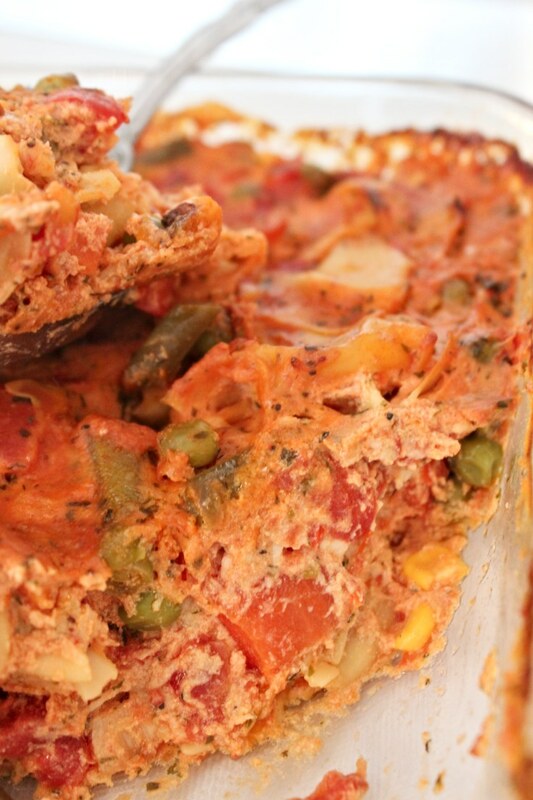 Comfort food can be created with healthy ingredients too! 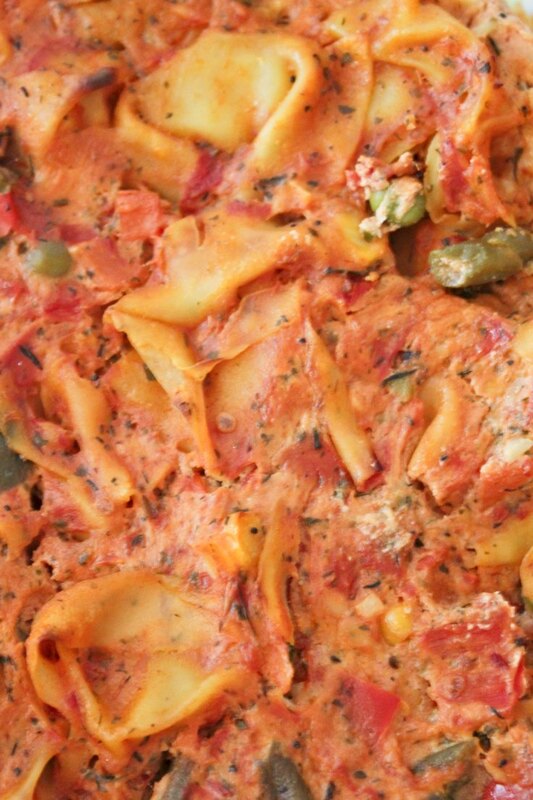 This easy tortellini bake is one of our go-to-recipes when we crave comfort food but feel too guilty to indulge in recipes that are full of fats, high cholesterol and calories. 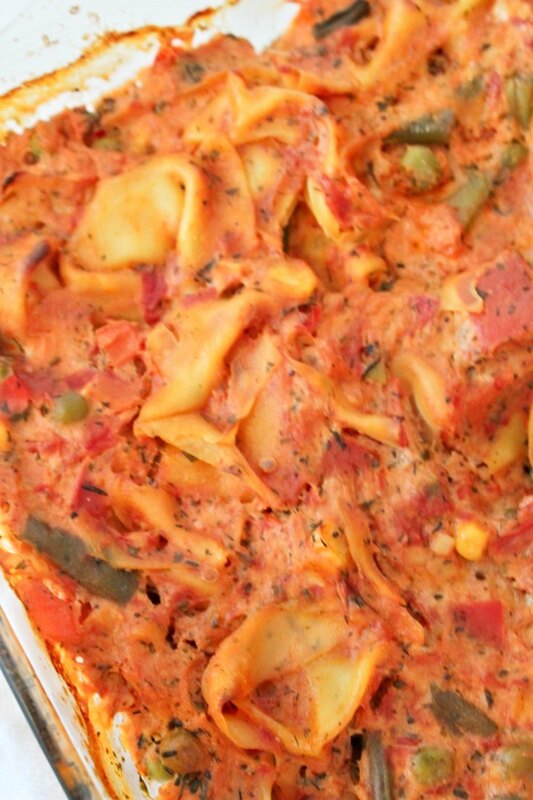 This yummy recipes for tortellini with vegetables is not only healthy but easy and quite quick to put together with frozen tortellini. 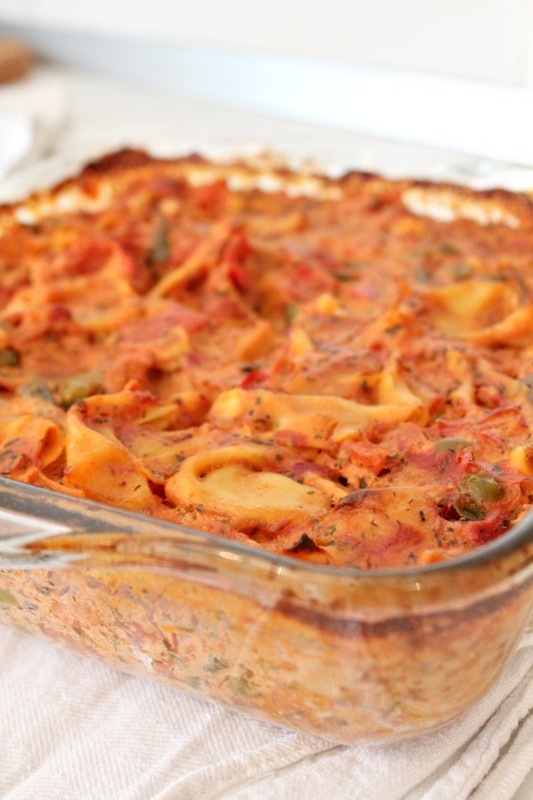 We’ve made this dinner in about 30 minutes, spending the most time on cutting the vegetables, roasting them lightly and then waiting impatiently for this baked tortellini casserole to bake to perfection! 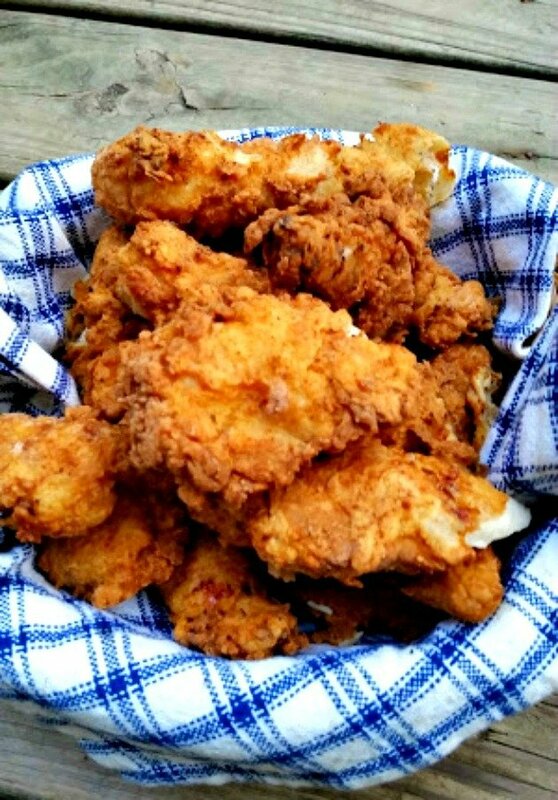 The perfect dinner idea on busy weeknight when cooking is the last thing on your mind! I’ve made this recipe with four cheese tortellini (Ricotta, Grana Padano, mozzarella and Parmigiano Reggiano) but any cheese tortellini will do. To make my baked tortellini recipe I used a variety of vegetables such as onions, bell pepper, zucchini, carrots, peas, green beans and corn. These vegetables added a lot of flavor to the dish and also helped making it more nourishing. If you don’t like these vegetables or have other favorites, feel free to swap these for your choice. To add even more flavor to my tortellini with vegetables dish I added minced garlic and lots of herbs such as thyme, basil and oregano. I didn’t have to use salt as I found the cheese filling in the tortellini pasta offered just the right saltiness to my dish. 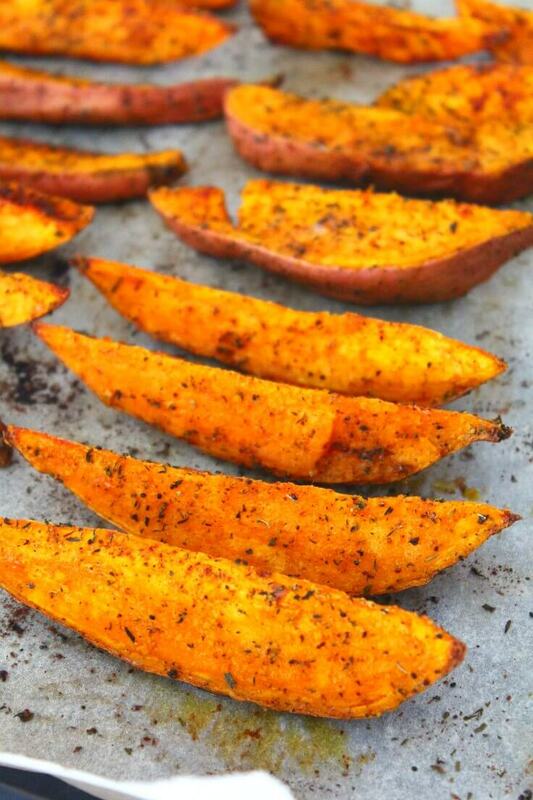 I did opt for a pinch of pepper to enhance the flavors and to bring a tiny bit of a spicy note to my recipe. You can totally skip this ingredient though, especially if your pasta has pepper listed in the ingredients so check the package for salt and pepper. It all took about 30 minutes from start to finish and it was a super satisfying, filling and delicious meal! 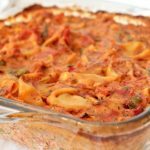 Perfect in cold winter nights, this warm, comforting, full of vegetables, cheesy tortellini bake works just as great as a spring or summer dish. We even served it cold and it tasted great, so it’s perfect for those hot summer days when you’re not feeling like eating cooked food. Heat the oil in a large non stick skillet and saute onions on high heat until glassy, about 2 minutes. Add the rest of the vegetables and roast for 10 minutes until just a little soft but still crunchy. Meanwhile cook the tortellini. Bring 60 oz water to a rolling boil and add tortellini. Boil for about 2 minutes (3-4 if the pasta was frozen). When ready, strain through a sieve and discard the water. In another non stick skillet, add the cooked tortellini, olive oil and the pasta sauce. Add all the herbs, salt and pepper and cook on high for about 2 minutes. 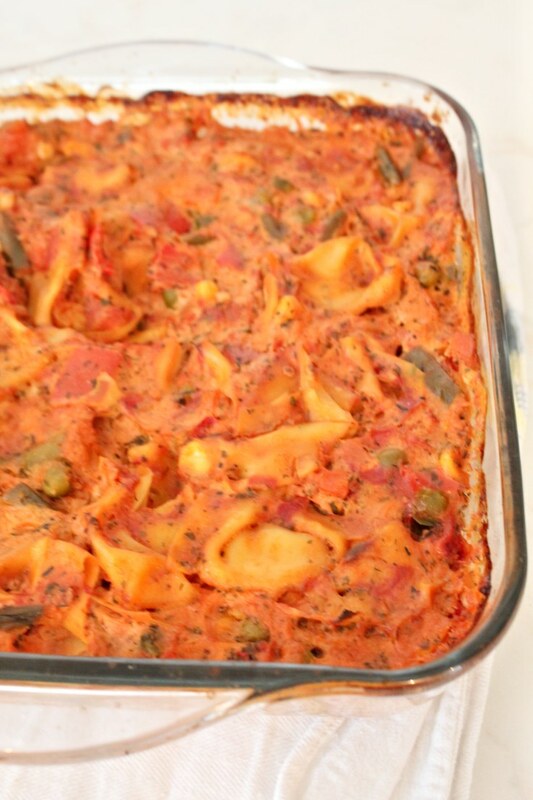 Transfer the roasted vegetables and the cooked tortellini to a large baking dish. In a medium bowl, whisk the eggs until foamy. 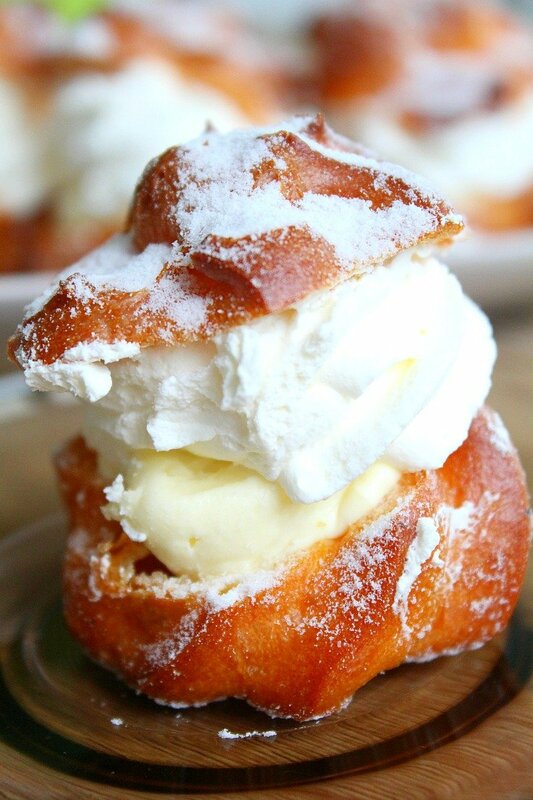 Add the sour cream and whisk to incorporate well. 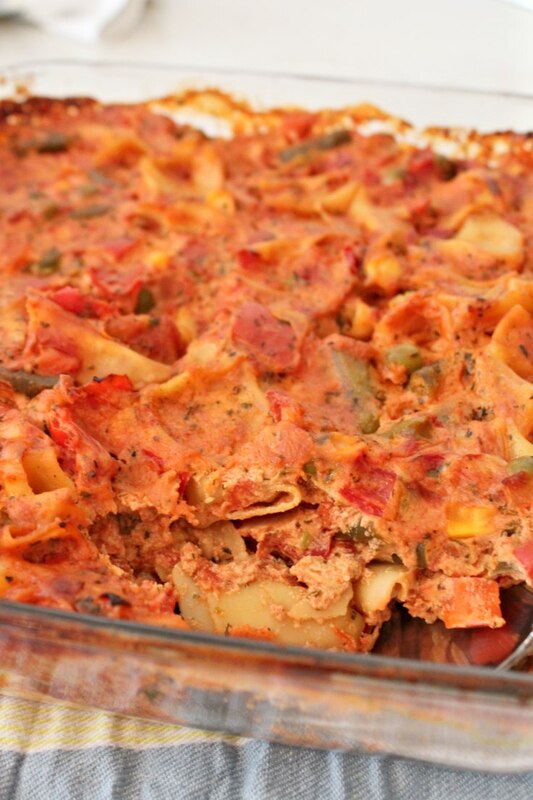 Pour the sour cream mixture over the veggie and tortellini and mix to coat.